A lovely colourful house with a fenced lawn and walking distance from Sula and other vineyards is Pai Farm. 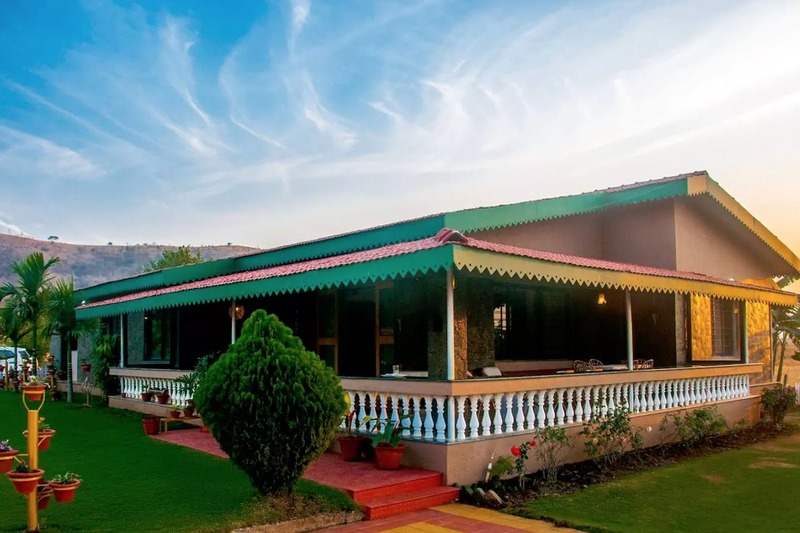 Resting in nature’s lap, this villa is scenic, serene and quiet – a perfect recipe for an unwinding weekend. It takes about three-and-a-half hours from Mumbai to Nashik by road provided you’re deciding the speed and the route. Even cabbing it to Nashik isn’t a bad option and turns out to be fairly reasonable if you’re a bunch of four (or multiples of four). But Nashik from Mumbai is well connected through public transport too. Trains on this route run from CST, Dadar and Lokmanya Tilak Terminal at regular intervals and take anywhere between 3-4 hours. And given Mumbai-Nashik is a frequented route, there are a number of buses that ply every now and then from bus stands across the city. The landmark to reach Pai Farm is York Vineyards, which is just about 500 metres away. The villa is located just beside the backwaters of Gangapur Dam; a water body in the immediate vicinity is a definite plus. If the countryside is your jam, then this location is perfect to spend some time away from the city’s noise and air pollution. Be it a relaxed weekend, or hiking-biking kinds, this place caters to both. The villa has three bedrooms with three baths and can accommodate up to 9 adults and kids, a total of not more than 15. They have a caretaker on property that will assist you with whatever you might need during your stay. In case you’re looking for some delectable local cuisine, express your desire to the host and they will have it arranged. Alternatively, it has a fully equipped kitchen where you can whip up your own stuff too. The rooms are equipped with all the amenities that you’ll need – air-conditioning, wi-fi, and breakfast. And if you’re taking your own car, you have nothing to worry about for they have ample parking. The hosts are not okay with cooking non-vegetarian things in the house, but you can get your dose of protein from nearby restaurants. They are also not in the favour of hosting parties and events in the house. The price per head per night is an affordable INR 1,500. Get booking already! Lounging in the garden with a glass of wine in your hand watching the sunset, we can tell, is an unmatched experience. And don’t frown, day or night, we believe it’s wine o’clock all the time.